Looking for Amy Fillinger Photography? Go here. This post may contain affiliate links. The full disclosure policy can be found here. 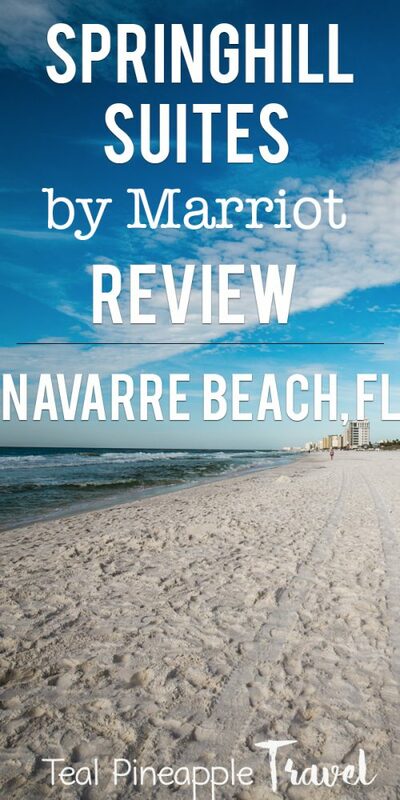 If you’ve never heard of Navarre, it’s a beach town located in the Florida panhandle in between Pensacola and Destin. Navarre also extends onto an island that is accessible via the Navarre Beach causeway. Hint: You can access Navarre Beach and the area where the hotel is operated for free by choosing the bridge located in the middle of the island. The bridge to the west has a toll, but it’s only $1 and the drive is beautiful. 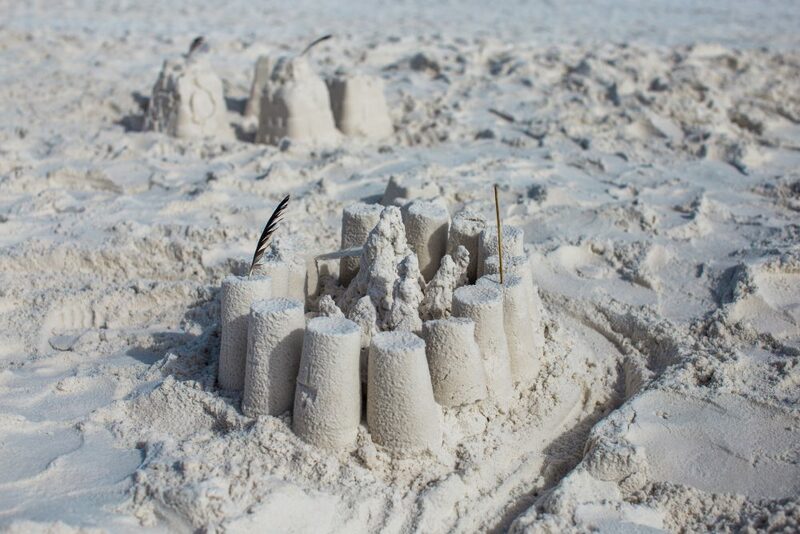 Navarre Beach has some of the whitest sand I’ve ever seen, and I’ve traveled to both Florida and Hawaii extensively. 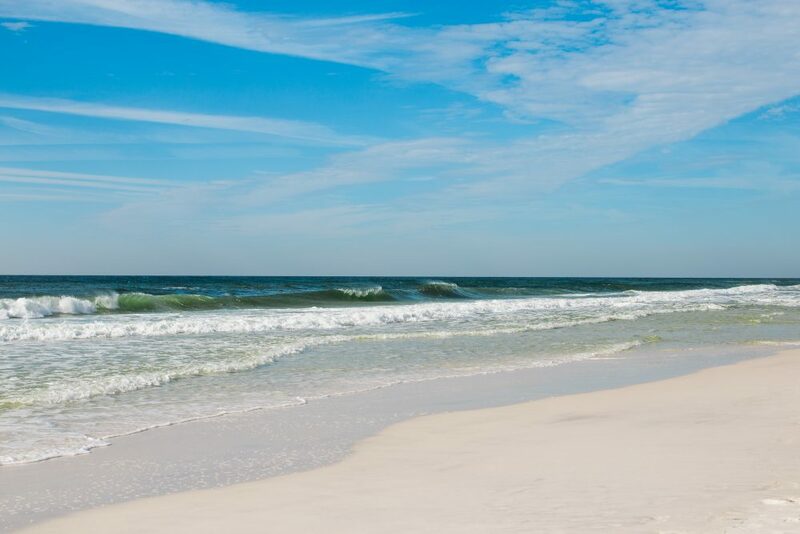 If you’re looking for beautiful white sand that goes on for miles, Navarre Beach is the place to go. We visited during a Mardi Gras parade which blocked out access to the hotel for a couple of hours. Unfortunately, we missed the parade because we had no idea it was happening. Even with the parade, the area was relatively quiet and there was plenty of room on the beach. We decided to take off last minute and we chose the Florida panhandle because it was within driving distance. I chose the SpringHill Suites by Marriott because I loved the location. Even though we lived in Southwest Florida for a while, neither my husband or I have visited the Destin/Pensacola area before. I highly recommend the Navarre area because it’s close enough to Destin but not as busy. 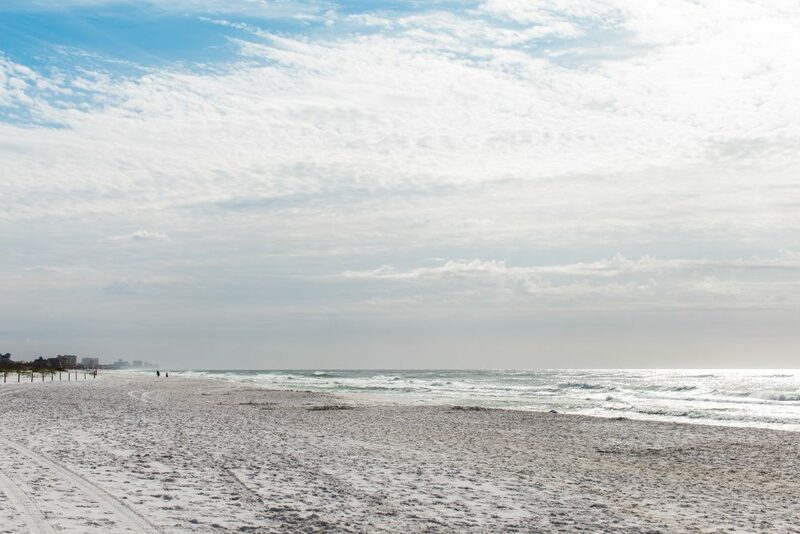 Even though we drove, Destin does have an airport and Allegiant Airlines flies out of there. 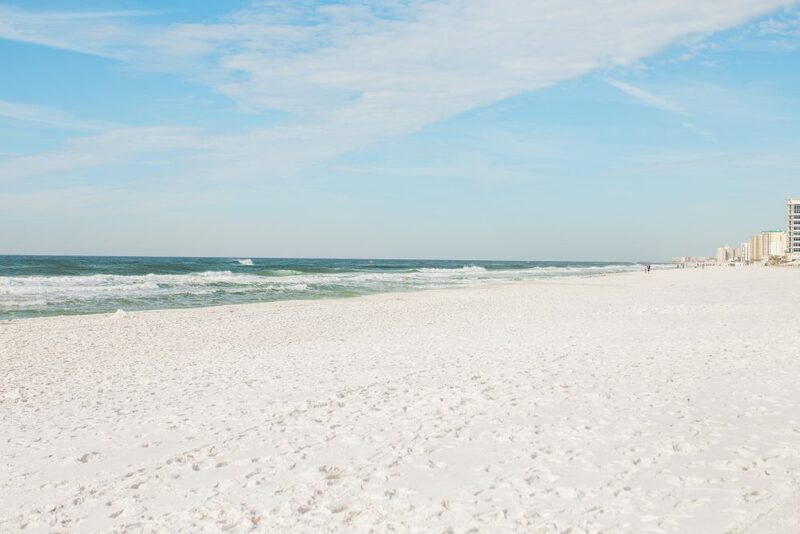 That means that if you are located near an airport where Allegiant flies, you can probably get to Destin pretty cheap! In the words of my 5-year-old son “flying is the better way” and we are not likely to drive again. The location of the hotel is perfect. It is beach front and in an ideal location. Both sides of the hotel face the beach, although I recommend choosing the “Island view” category for the best view. There are more balcony rooms on the “island view” side than the “gulf view” side, but either side has great ocean views. 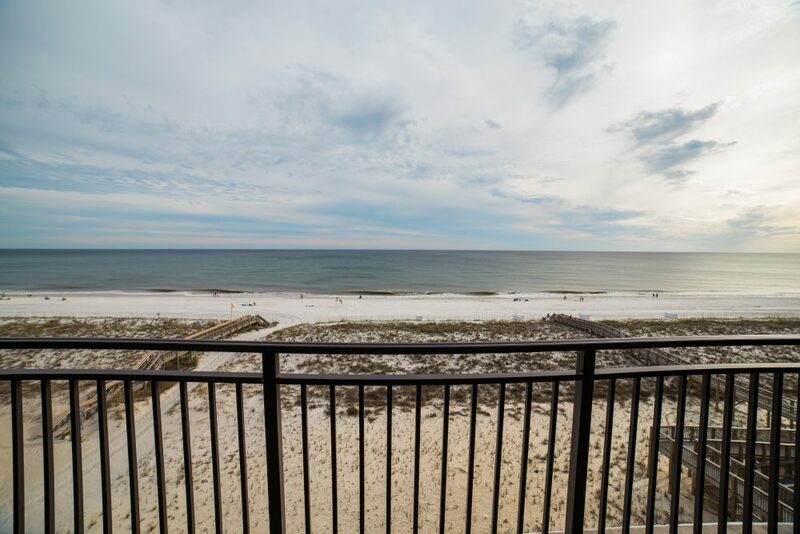 The “gulf view” side also has a view of the road and it’s not beach front, but you still see the ocean. No matter which side you stay on, make sure you get a balcony. It’s worth it! 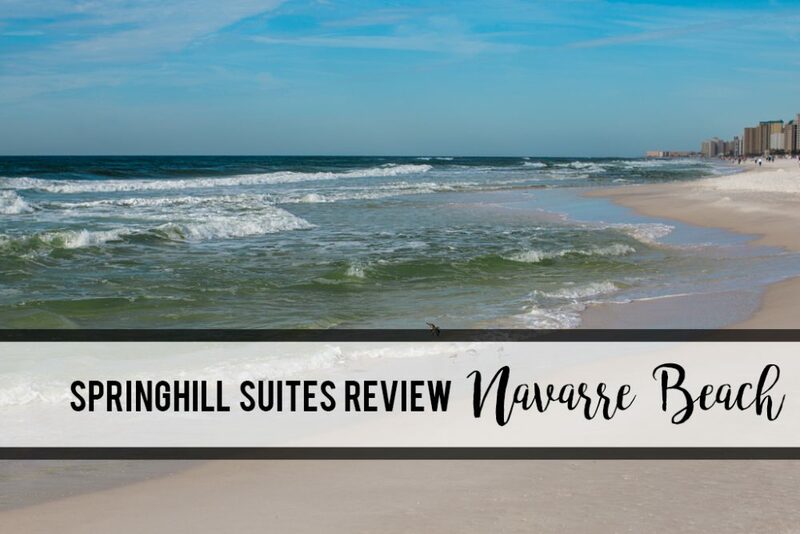 I really loved this hotel but I’m not quite sure what makes the rooms “suites.” A hotel suite typically means that there are connecting rooms, but the rooms at the SpringHill by Marriot Navarre Beach are only one room. We stayed in a room with two queens, which were separated by the bathroom, but there were no doors. In my mind, this isn’t a suite, it’s just a hotel room. They do have “oversized suites” (in both king and 2 queens) that have a sitting area, but again, it is not separated by a door. The rooms are not any larger than your average hotel room so I’m not sure why they are called suites, they aren’t. There are options for adjoining rooms, although I don’t think that would be ideal for a family. At $400, you could stay somewhere nicer in a real suite. All rooms have a mini-fridge and microwave. The double queen had two TVs which you could connect to your own streaming services. I have noticed more and more hotels doing this. 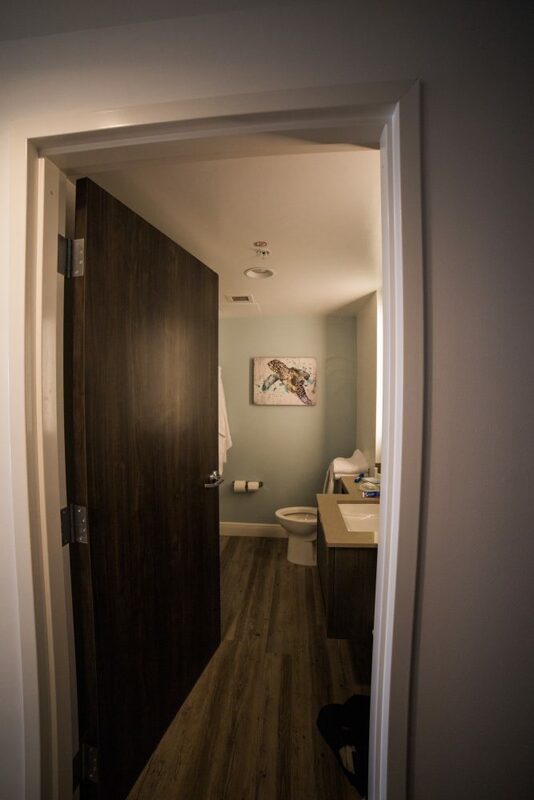 The bathrooms are large and the balconies are also roomy. One other small issue was that the bathrooms do not have bathtubs. I would really like to have a bathtub option, especially with kids. The showers were huge and very nice, but a tub would have been a nice option. The decor in the rooms was very nice and the beds were very comfortable. The furniture was very nice too. My only major room complaint would be the thin walls, we could easily hear our “neighbors” and I’m sure they could hear us too. The outdoor pool at the SpringHill Suites by Marriot is stunning. However, it isn’t heated. In my opinion, it isn’t warm enough in the Florida panhandle to not heat an outdoor pool. My 10-year-old son tried to get in the pool but he said it was very cold. They do have a very small indoor pool, but it’s not the same. It was in the 40s the morning that we left and I was told that is typical in February. The pool is amazing, but it should be heated if it’s open all year! A nice bonus about this hotel is that they do have a free continental breakfast. As continental breakfasts go, it was pretty average. I have Celiac Disease and have to be very careful about what I eat, so I had coffee. Typically, I am not able to eat at hotel breakfasts and this was no exception. I always get excited about gluten free or dairy free options at hotels, but this one didn’t have any. My husband said it was okay, pretty average. Every single staff member that we encountered was fantastic! From the front desk to the staff preparing breakfast and the housekeeping staff. Everyone was so friendly. We didn’t try the restaurant although the majority of the reviews that I have read have said “pricey but good.” There is also a bar in the hotel lobby, and they had live music during our stay. It would be great to have a drink and listen to music while watching the waves! We had kids with us, so we didn’t do that, but maybe next time. Location, the beachfront location can’t be beaten. The hotel is relatively new so everything is in great shape. Not to nitpick, but the rooms aren’t real “suites” at this “all-suites” hotel. The walls are also very thin which is not ideal when you have kids. The breakfast isn’t bad, but nothing special. The pool isn’t heated in the winter but should be. Overall, we enjoyed our stay and will definitely return! 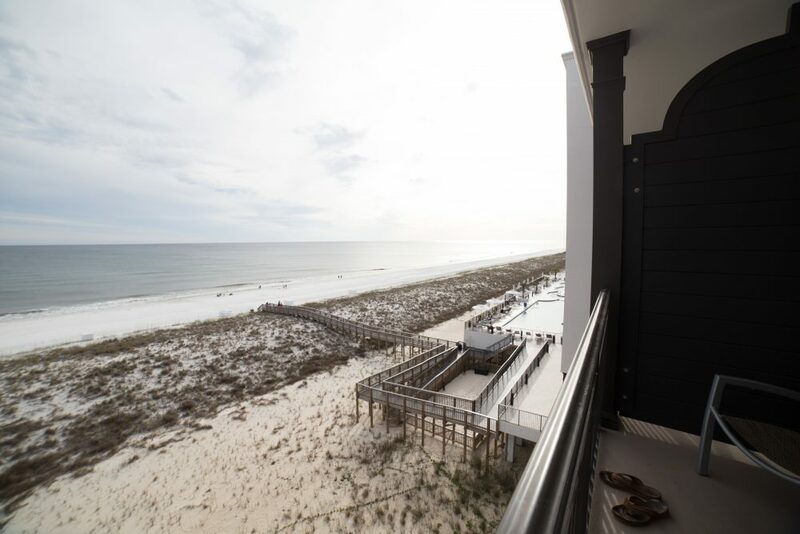 The pricing starts at $189 per night, depending on the room and time of year. That is a great price for a beach-front property. 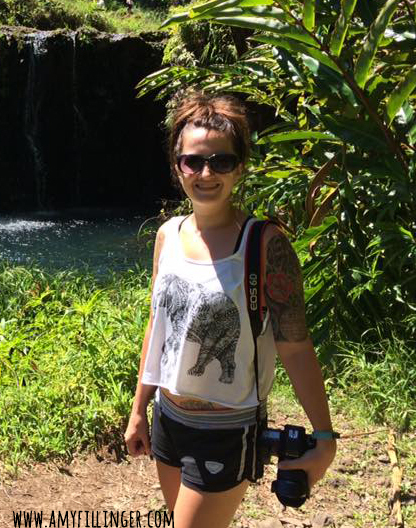 I am a Hawaii destination specialist for vacations and weddings. Want to know more about me? Click here. Want the latest in travel news and deals? 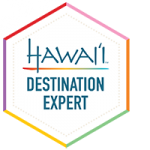 Sign up to get the latest news and Hawaii travel deals.